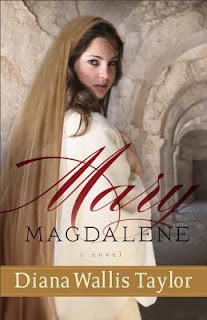 This was a inspired story about Mary of Magdala. It focuses on her life primarily until the Messiah arrives and then she follows Him, bringing the focus more on what she witnessed. I felt like the tone changed with that and the whole build up for empathizing Mary seemed to be ignored until the final chapters. The beginning of the novel was an imagined story of what life could have like for Mary as someone who was "possessed" or not in control of her thoughts. Through this she was still portrayed as a simple and humble young lady, wishing for peace in her life. The characters that were created in the novel really did a nice job of supporting the story line and helped to flesh out the time line that the author was moving through. I enjoyed it fully but felt the last third wasn't as good as the first parts. I read the novel fairly quickly and would still of course recommend it to those interested in biblical fiction. I am looking forward to reading more from Diana Wallis Taylor, perhaps Martha will be the next from her that I will get to.